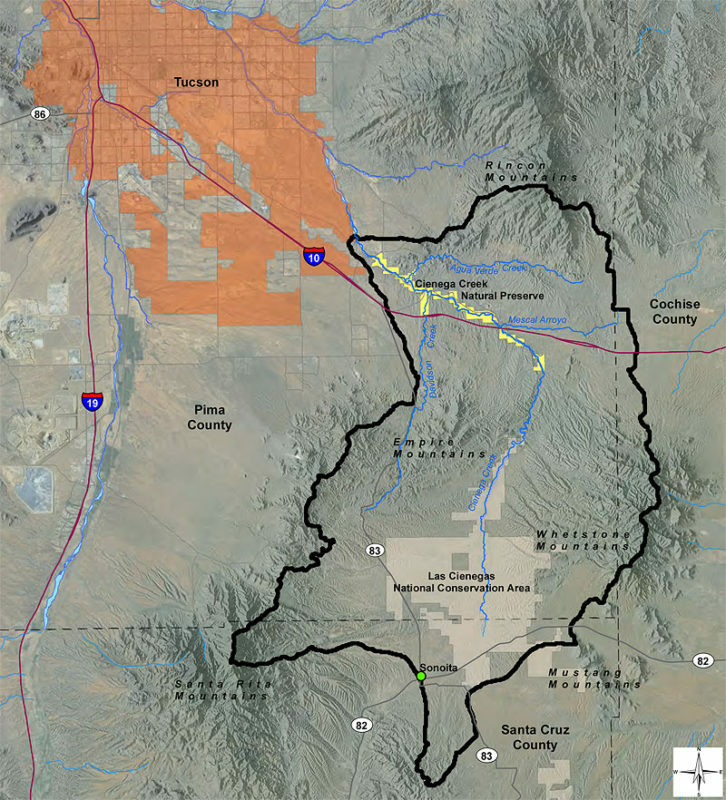 The Cienega Watershed is the Southeastern Arizona basin bounded by the Whetstone Mountains to the east, the Santa Rita Mountains to the west, the Canelo Hills to the south, and the Rincon Mountains to the north. 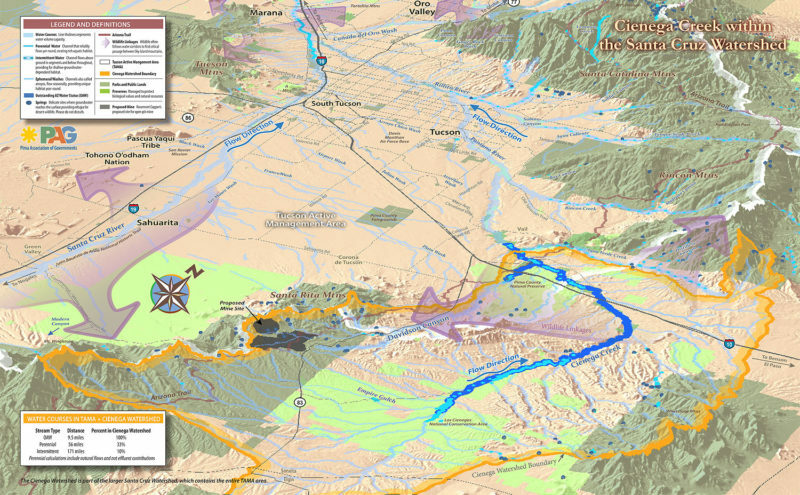 The Cienega Watershed is located within the Santa Cruz Watershed, southeast of Tucson, Arizona. Click image to view or download in PDF format. Map courtesy Pima Association of Governments.